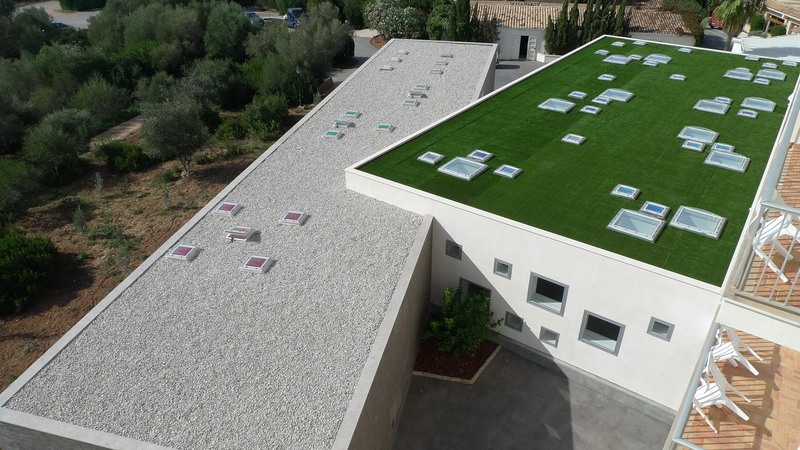 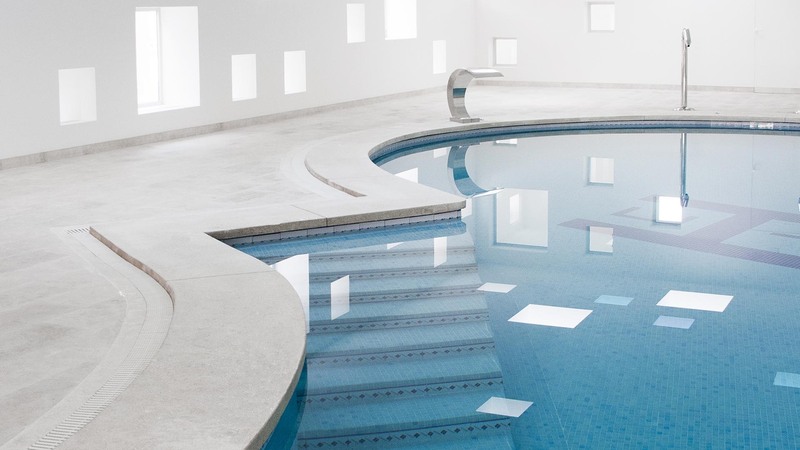 The work centred on replacing the covering and enclosure of the existing heated pool. 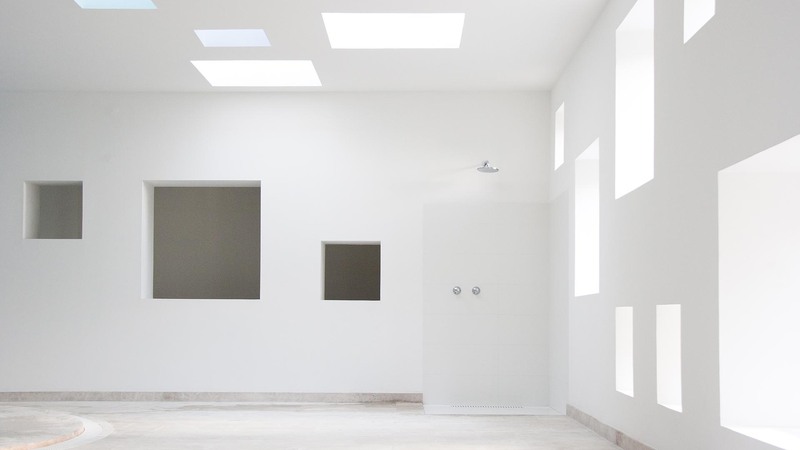 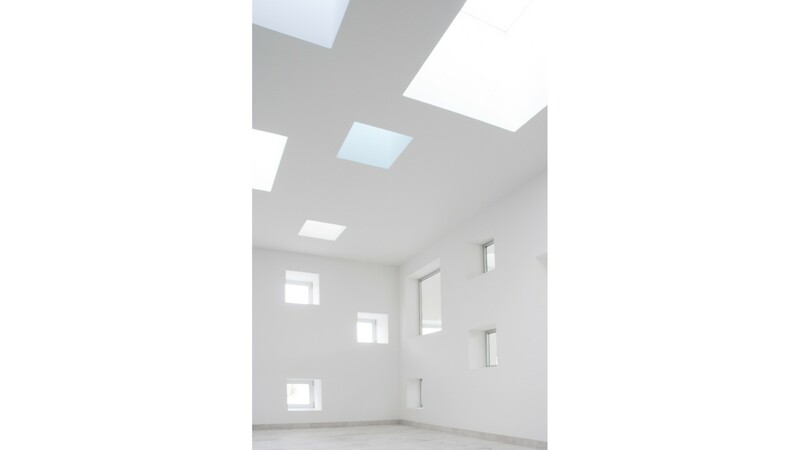 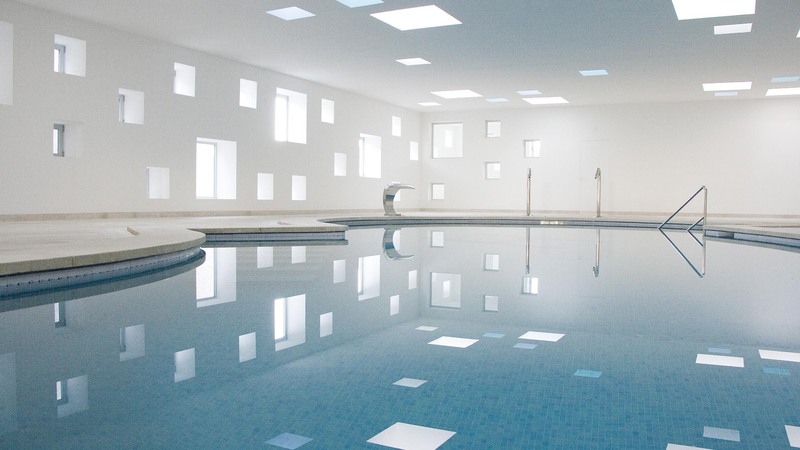 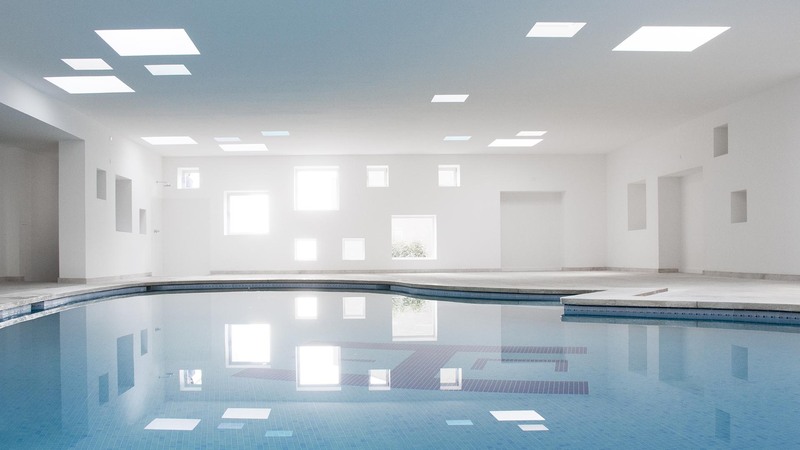 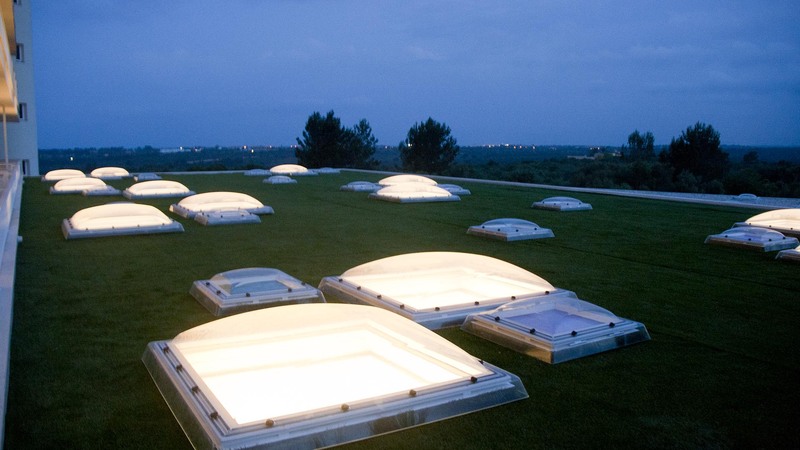 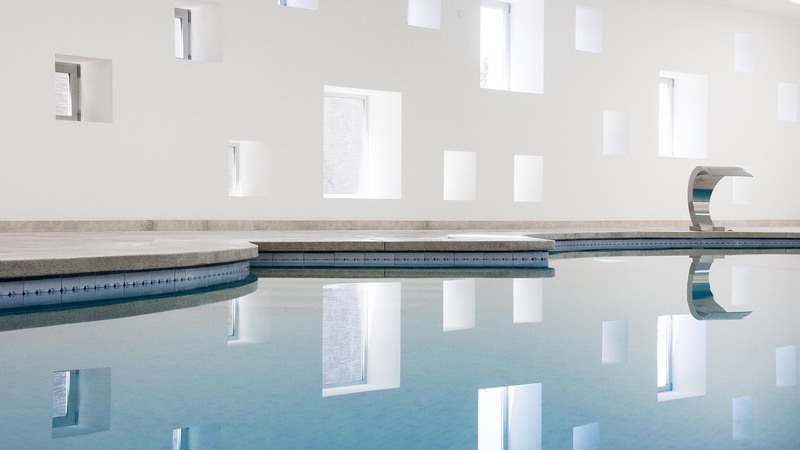 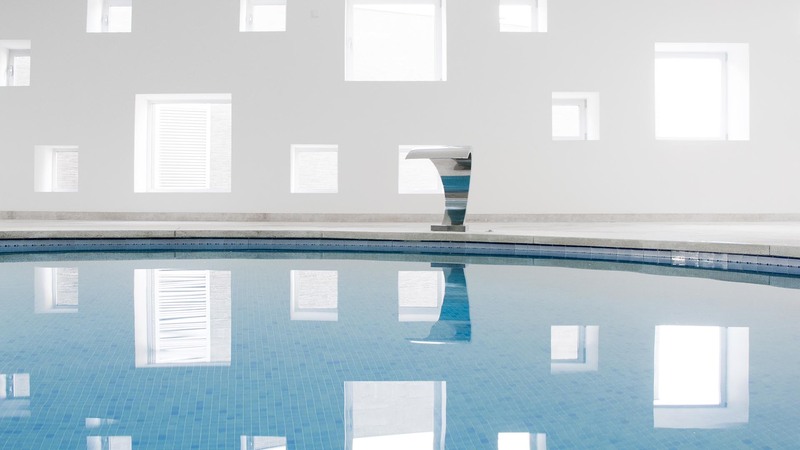 The main pool area is adorned with a series of square openings for windows in the roof that allow the light to flood into the area, this interplay of window holes in the roof creates a beautiful dance of light reflections inside. 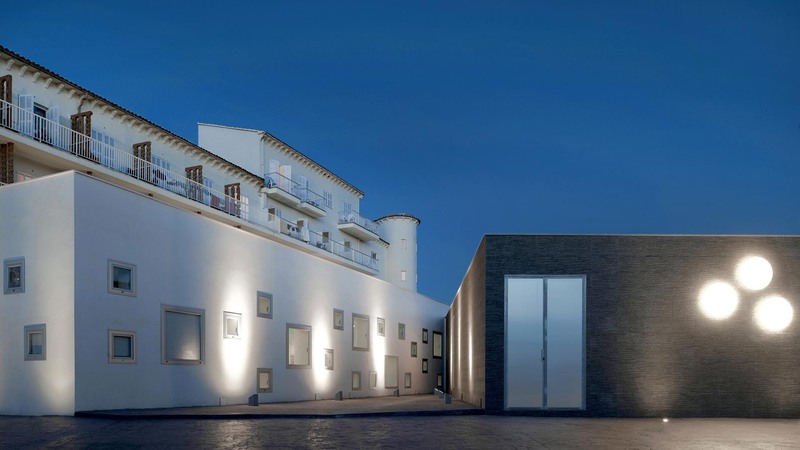 The challenge of the project was not only to stop the new area from being used as secondary features, but to ensure they were used to highlight the hotel’s sunniest facade.